Dr Melinda Suchard obtained her MBBCh degree from the University of the Witwatersrand in 2000 after which she obtained her MMED and FCPath qualifications in clinical pathology. Since 2013 she heads the Centre for Vaccines and Immunology at the National Institute for Communicable Diseases with a joint appointment to Chemical Pathology, University of the Witwatersrand. Dr Suchard is a ministerially appointed member of the National Advisory Group on Immunization and the National Polio Expert Committee and has attended meetings of the World Health Organisation in Geneva for polio and measles. Dr Suchard’s prior experience includes running a diagnostic laboratory for renal transplantation. She currently chairs the Expert Committees of the National Health Laboratory Service. The focus of her research is immune tolerance, particularly related to infectious diseases such as HIV and Tuberculosis. Her research group is investigating host biomarkers for Tuberculosis and improved methods for monitoring T cell immunity. Dr Jonathan Peter is Head of the Division of Allergology and Clinical Immunology at Grootte Schuur Hospital, University of Cape Town and the UCT Lung Institute, South Africa. He is the recipient of a number of awards for medical training including the 2009 Suzman medal, awarded by the College of Physicians to the best candidate in the final specialist exams nationally. In 2012, he received the prestigious Oxford Nuffield Medical Fellowship. Current clinical and research interests include: i) primary immunodeficiency, ii) drug allergy, iii) food additive allergy, and iv) diagnostic strategies for resource-poor settings. Jonathan has over 50 publications in high impact factor journals, and H-index of 20. Most recently, he has been awarded a Silver Award as an outstanding early-career researcher by the South African Medical Research Council. Prof Clive Gray is Head of Division of Immunology at the University of Cape Town, Institute of Infectious Diseases and Molecular Medicine and Department of Pathology, with a joint appointment to the National Health Laboratory Service. He holds a Faculty positions as an Adjunct Professor in the Department of Immunology, Duke University, North Carolina, USA. Prof Gray’s early research was in transplantation immunology and understanding allo-recognition and innate immunity in solid organ transplantation. Subsequently, he moved into HIV/AIDS research, seeing this as a priority in the South African context. He was awarded the prestigious James Gear Fellowship in 1995, which allowed him to work at the Center for AIDS Research at Stanford University as a Post-doctoral Fellow. Since then he has been actively involved in the scientific agenda of vaccine development in South Africa including directing a SAAVI and HIV Vaccine Trials Network (HVTN) southern African Central Immunology Laboratory at the National Institute for Communicable Diseases. He has published over 90 papers on various aspects of the immune system. Since moving to UCT, his research has shifted to understanding how HIV exposure impacts on immune checkpoint balance in infants and mucosal/epithelial tissues. 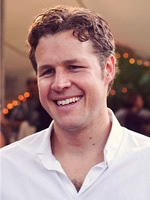 He has a keen active interest in implementing novel teaching and learning strategies around immunology and is the creator of Immunopaedia (www.immunopaedia.org), originally funded by the Elizabeth Glaser Pediatric AIDS Foundation International Leadership Award. He is the vice chair of the Clinical Immunology Committee of the IUIS and works closely with the Education Committee around devising regional immunology workshops in Africa. 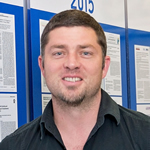 Tom Scriba is Associate Professor at the University of Cape Town and Deputy Director (Immunology) of the South African Tuberculosis Vaccine Initiative (SATVI). He heads a team of clinical immunologists, post-doctoral fellows and postgraduate students within SATVI, focusing on the development of new and effective prevention strategies against TB, including vaccination and biomarker-targeted treatment approaches. 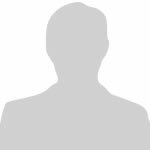 His particular interests include immunopathology of mycobacterial infection and TB disease, correlates of risk and protection against M. tuberculosis infection and TB disease, and novel TB vaccine development. He has been co-investigator on more than 18 phase I/II/IIb clinical trials of novel TB vaccines, and has led the design and immunological analyses of vaccine-induced T cell responses for most of these. In the last 7 years he has been leading studies of correlates of risk of TB in different cohorts. 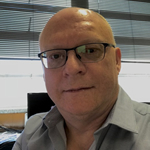 Richard Glashoff holds a joint appointment as Senior Lecturer and Specialist Scientist in the Immunology Unit of the Department of Pathology at Stellenbosch University and the National Health Laboratory Service. 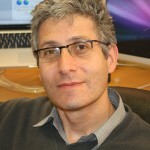 He is involved in postgraduate scientist and pathologist teaching, clinical immunology diagnostics as well as research. His particular research interest is in HIV immunopathogenesis – particularly around latency and immune markers that may be predictive of effective immune control. He is involved in assessment of immune function in early ART-treated children, and how the immune system impacts on the size and persistence of the reservoir. This work also extends to an investigation of immune markers as predictors for development of neurovascular and neurocognitive disorders. He also has active research on the impact of HIV infection on chronic Hepatitis B infection and liver fibrogenesis. Most recently he has become involved in functional immune profiling of primary immunodeficiencies which manifest with recurrent TB as part of the multidisciplinary PIDDGEN group at Stellenbosch. He is passionate about promoting immunology in South Africa and sees immunology as essential to understanding multiple disease processes and an area which naturally fosters close interaction between clinician and scientist. Ms Khanyisile Kgoadi is a final year PhD candidate in the Division of Immunology at the Institute of Infectious Disease and Molecular Medicine, Pathology Department, Faculty of Health Sciences, University of Cape Town. She is currently conducting a neuroimmunology study that is investigating the immune mechanisms associated with central nervous system tuberculosis. 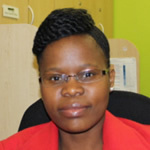 She holds a BSc in Human Physiology and Biochemistry from the University of Johannesburg, a BSc (Hons) & MSc degree in Biochemistry from the University of Pretoria where she conducted research on metabolic complications associated with HIV/AIDS and HAART. Her primary research interests are in HIV/AIDS research with emphasis on HIV-associated Comorbidities Coinfections and Complications such as neurological complications. Her secondary research interest is tuberculosis diagnostics and therapeutics. South Africa and sub-Saharan Africa have the highest burden of HIV/AIDS and TB, indicating the high relevance of research in these infectious diseases. Ms Kgoadi has attended the Fogarty International Center (FIC) Global Brain Networking meeting at the National Institutes of Health (NIH) in the US. Formerly funded by NRF, she is a SAMRC National Health Scholar and a recipient of several prestigious awards including; 2015 South African Women in Science award, 2016 Margaret McNamara Education Grant, 2017 Society for Neuroscience award and American Association of Immunologists (AAI) young investigator award. 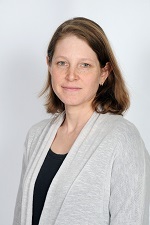 Elizabeth Mayne is a specialist haematologist and pathologist with a special interest in immunology and HIV-associated malignancy. She currently runs the leukaemia and lymphoma immunophenotyping and immunohaematology services at the National Health Laboratory Service which provides diagnostic support to a large geographic area including 6 of the 9 provinces in South Africa and neighbouring countries in Sub-Saharan Africa including Namibia and Botswana. She is a national expert on flow cytometric techniques for diagnosis of malignancy. She is extensively involved with training scientists, medical students and residents in benign and malignant haematologic conditions and tumour associated immunology both from South Africa and from other countries in the African continent and has supervised a number of masters projects related to HIV, immunology, haematology and malignancy. She has been involved in national policy formulations for pathology and is committed to providing affordable pathology health care to the largest number of Africans.She is a member of the executive of the South African Immunological Society, a member of the National Expert Committee on Immunology and Chairs the National Committee for Registrar Teaching and training. Dr Mayne is also involved in a number of research projects examining HIV-associated conditions including HIV-associated malignancies, HIV-associated non-communicable diseases and opportunistic infections including Mycobacterium tuberculosis. Catherine obtained a BScHons degree in Biochemistry and Cell Biology and an MSc in Molecular Cell Biology at the University of the Witwatersrand. Catherine completed her MSc in 2008 which focussed on the role of various oncogenes and tumour suppressor genes involved in the pathogenesis of oesophageal squamous cell carcinoma. Thereafter, she worked at the National Health Laboratory Service as a medical scientist in research and development where she implemented new diagnostic assays, and later as a laboratory manager in charge of immunohaematology for transplantation diagnostics. 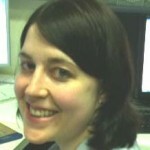 As a senior medical scientist, Catherine was involved in diagnosing haematological malignancies using an array of advanced techniques. She was responsible for implementing and accrediting diagnostic testing for other haematological and immunological disorders such as paroxysmal nocturnal haemoglobinuria (PNH), primary immunodeficiencies, and established testing for the solid organ transplantation programme, including flow cytometric crossmatching, HLA typing and HLA antibody detection, and virtual crossmatching. 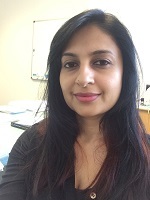 Her other interests include immunohistochemistry, immunofluorescence, immunology, molecular biology, infectious and non-communicable diseases and evolutionary biology. She was also responsible for training registrars, scientists and technologists in haematology, immunology and clinical pathology. She is a registered with the Health Professions Council of South Africa, examines intern medical scientist portfolios and audits accredited training laboratories. Catherine joined Diagnostech in 2018 as a Field Application Scientist (Pathology) and is passionate about medical research into new innovations to improve patient diagnosis, treatment and care.